Deputy Sheriff Jeremy Triche and Deputy Sheriff Brandon Nielsen were shot and killed in LaPlace, Louisiana, by members of a domestic terrorist group known as the Sovereign Citizens. They were shot while investigating an earlier ambush shooting that wounded a sheriff's office investigator. 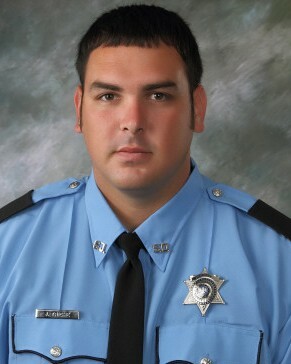 Deputy Triche had served with the St. John the Baptist Parish Sheriff's Office for four years. He is survived by his wife and 2-year-old son.